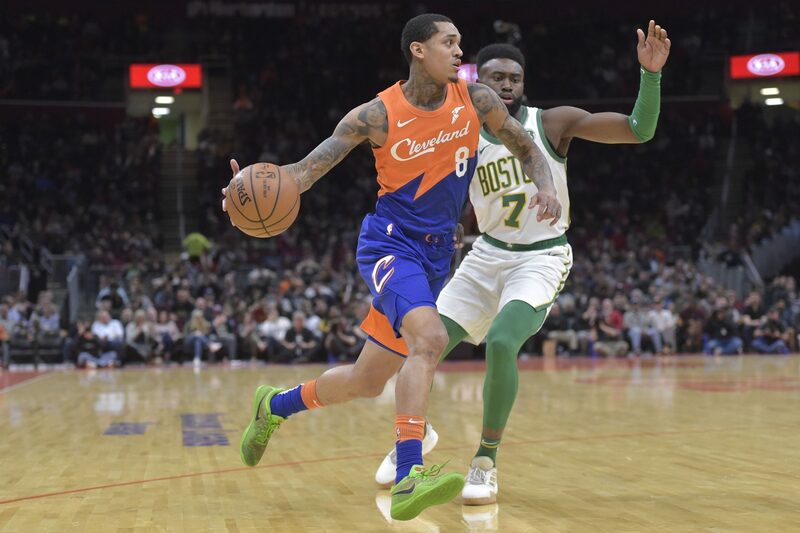 With the Cleveland Cavaliers set to play in San Antonio to face the Spurs on Thursday night, Cavaliers guard Jordan Clarkson is reflecting on growing up in that Texas community. One Spurs player he paid tribute to is former shooting guard Manu Ginobili, whose number is set to be retired in a ceremony after tonight’s contest. "Growing up, they meant everything to us." “I mean Manu did a lot,” said Clarkson. “He was one of the first really impact kind of Euro players. When he came to the league and made the kind of Euro Step really popping and everybody kind of uses it now. The other thing I would say is probably just him being a sixth man and coming off the bench really cool. A lot of people can’t start and he kind of made that position cool and made everyone want to do it a little bit. Did it with a championship team, so that always makes everything look really glamorous. Ginobili played 16 seasons in the NBA, all of them with the Spurs, who drafted him in the second round of the 1999 NBA Draft. His first season in the league came during the 2002-03 campaign and he won All-Rookie honors that year. He was also part of four title teams with the Spurs and retired with solid statistical numbers of 13.3 points, 3.8 assists and 3.5 rebounds per game. Following in those footsteps, Clarkson has developed into one of the league’s best sixth men this season. Coming off the bench in each of the Cavaliers’ 74 games, Clarkson is averaging 17.0 points, 3.4 rebounds and 2.7 assists. The averages for both points and rebounds mark career-highs for the fifth-year man. There’s still a long path to go for Clarkson to reach the heights attained by the likely future Hall of Famer. However, the hometown connection figures to keep driving him in the years ahead.